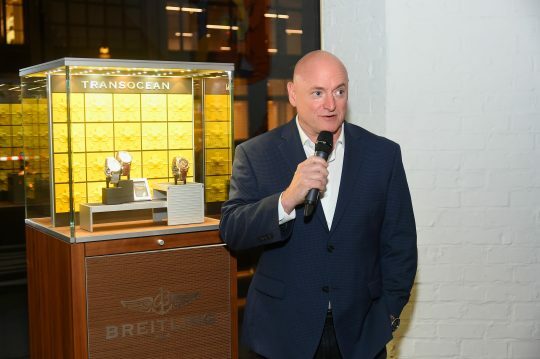 Retired astronaut Scott Kelly apologized on Sunday for quoting Winston Churchill and said he will educate himself on the 20th century British prime minister's "atrocities" and "racist" views. "Did not mean to offend by quoting Churchill. My apologies. I will go and educate myself further on his atrocities, racist views which I do not support," Kelly tweeted. "My point was we need to come together as one nation. We are all Americans. That should transcend partisan politics." Did not mean to offend by quoting Churchill. My apologies. I will go and educate myself further on his atrocities, racist views which I do not support. My point was we need to come together as one nation. We are all Americans. That should transcend partisan politics. Kelly's apology was sparked by a tweet where he quoted Churchill, who led the United Kingdom as prime minister in part during World War II. "One of the greatest leaders of modern times, Sir Winston Churchill said, ‘in victory, magnanimity.' I guess those days are over," Kelly wrote in a tweet. His tweet appeared to be a shot at Republicans celebrating the confirmation of Supreme Court Justice Brett Kavanaugh. One of the greatest leaders of modern times, Sir Winston Churchill said, "in victory, magnanimity." I guess those days are over. The replies of the tweet were a mix of agreement that Republicans shouldn't be celebrating Kavanaugh's confirmation and others who said the confirmation was cause for celebration. A few replies had nothing to do with Kavanaugh, but instead criticized Kelly for quoting Churchill, who they accused of being a racist who committed mass murder. One user shared a picture of Churchill that accused him of starving three million Indians and selling half of Europe to Soviet Union leader Joseph Stalin. A majority of those criticizing Kelly accused Churchill of causing the Bengali famine of 1943, during which three million Indians died. Hhmm Churchill forgot to reflect on his decision to ignore India's plight in fighting the famine during his administration. Causing millions of Indian to die on the street while stealing their grains and supplied it to British armies. Author Arthur Herman, who wrote a book about the history between Churchill and Mahatma Gandhi, dismisses the idea that Churchill caused the famine. He says the real cause was Japan's conquering of Burma, which cut off India's main supply of rice imports, along with an October 1941 cyclone that caused India's production of rice to drop. Kelly's apology drew even bigger criticism than his initial tweet, with the apology garnering over 6,000 replies compared to the little over 250 replies to his tweet where he quoted Churchill. Churchill led the United Kingdom's war effort in the Allied defeat of Nazi Germany and the liberation of Europe. This entry was posted in Culture and tagged Winston Churchill. Bookmark the permalink.